My Top 10 Cruise Packing Tips... and My New Travel Website! I have a passion for cruising like many women in our Sixty and Me community. So, I recently started a new website called She Cruises – for women of all ages who love to cruise! You can find all my She Cruises posts at www.shecruises.com but I wanted to feature one article that I think is of interest to any woman who is curious about how to prepare and pack. Traveling light is always the most important packing principle, but, I always carry a “Just in Case” bag. This beautiful floral bag I picked up in Bali, contains things that I have learned through experience always come in handy on a cruise. In this article, I describe the items that I bring in my personal “Just in Case” bag. These are things that I personally consider my personal essentials… items that I might have trouble finding in a new city or town. 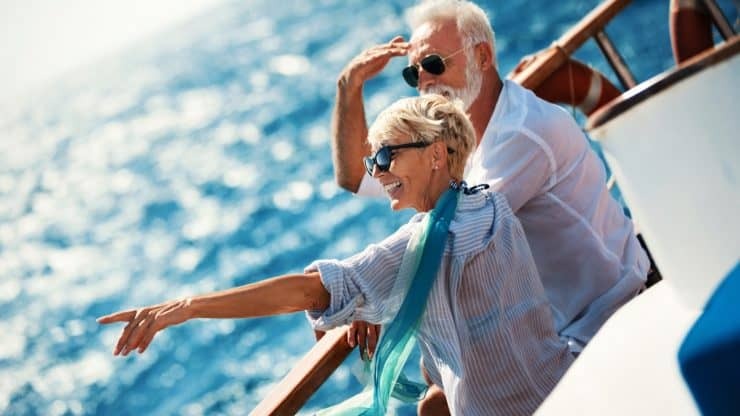 Cruising is a great way to travel the world. You only have to unpack once… then you can enjoy a few days relaxing (or having fun) at sea. Your “Just in Case” bag might make all the difference! Have fun exploring all my articles on She Cruises website and also visit our new YouTube Channel. Come visit She Cruises for tips and inspiration and hopefully I will see you on a She Cruises adventure one day soon!